Okay, so I know what you are all thinking, Rachael you just recently blogged about Valentino's Rocklock Camouflage bag (here), you're blogging about Valentino again? But I just couldn't help sharing after I laid eyes on this bag today while browsing on net-a-porter.com. 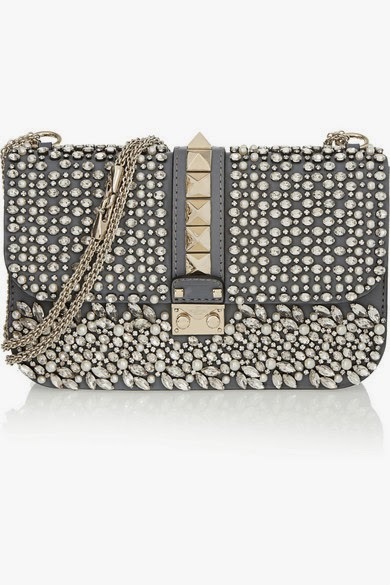 This bag is embellished with crystals, faux pearls, and hand-applied pyramid studs giving off a very lady-like with a bad side feel, and I can't get enough. It would be the perfect bag for all of the upcoming holiday parties, however, with the $3,995 price tag, I'll have to remain obsessing over it from a distance.